The great thing about writing a blog and sharing all your thoughts is you end up stumbling upon other great blogs and ideas. This post is an example of just that. 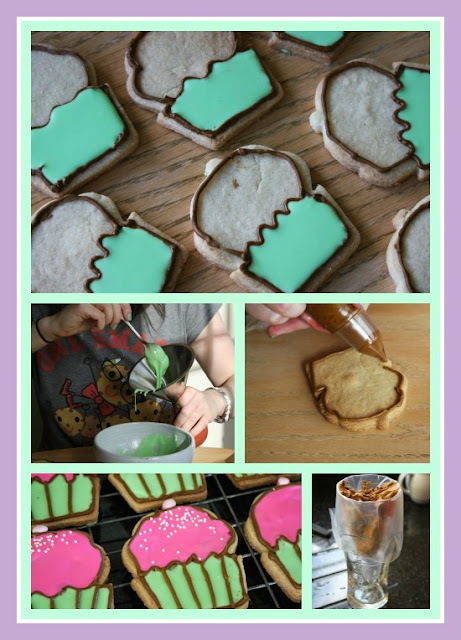 I had never made sugar cookies before and don't generally ice my biscuits or cookies but after seeing this concept on another blog I decided it was something I definitely wanted to try. There is no doubt these pretty 'cupcakes' were time consuming, but just look at the result, weren't they worth the time? Not only do they look great, but they were actually a front runner for one of my favourite biscuits I've ever made. 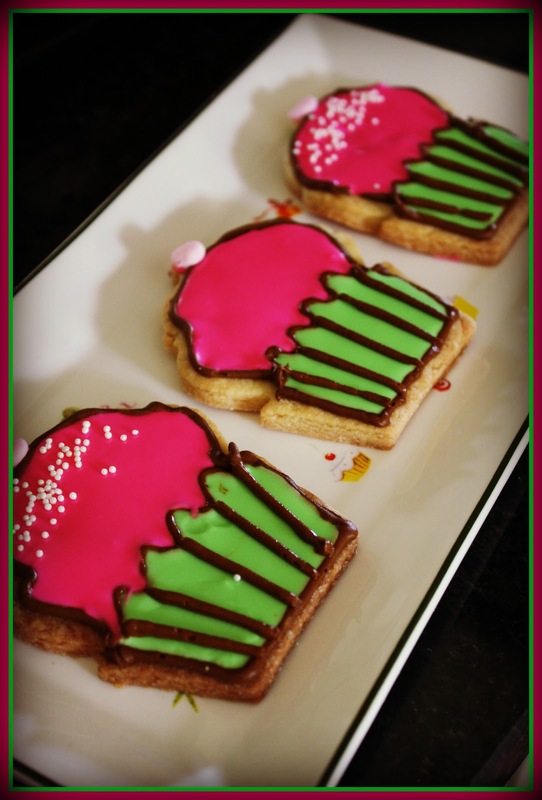 At first when they came out of the oven they were quite hard to bite into, but once topped with the colourful royal icing they were just the right texture. Dust a clean surface with flour and roll out the dough using a rolling pin. Cut out the shapes of your choice ( I chose these pretty cupcakes) . Place the cookies on a well greased or lined baking tray (you will need at least two large trays) and bake for 10 minutes at 170C. Beat the egg white and lemon juice together in a free standing mixer. Gradually add the icing sugar and contune to whisk until the icing forms stiff peaks. 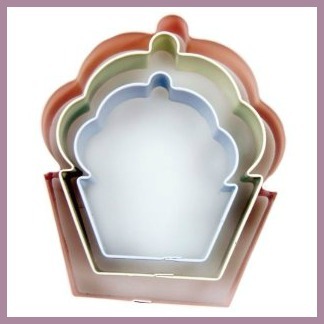 (Word to the wise, making royal icing can be hard in your machinery so take it easy!). Seperate mixture out and add desired colours. 1. I used a very thin nozzle and stiff royal icing coloured brown for the outline of the design. edges, ensuring to burst any obvious air bubbles. 3. I then repeated the process with the pink icing for the top of the cupcake. 4. Finally I added the lined detail for the base of the cupcake and sprinkles on top. into a pint glass and then fill it with icing (as pictured above). Makes life a lot easier and also makes minimal mess. them on Amazon.co.uk, see the link below. 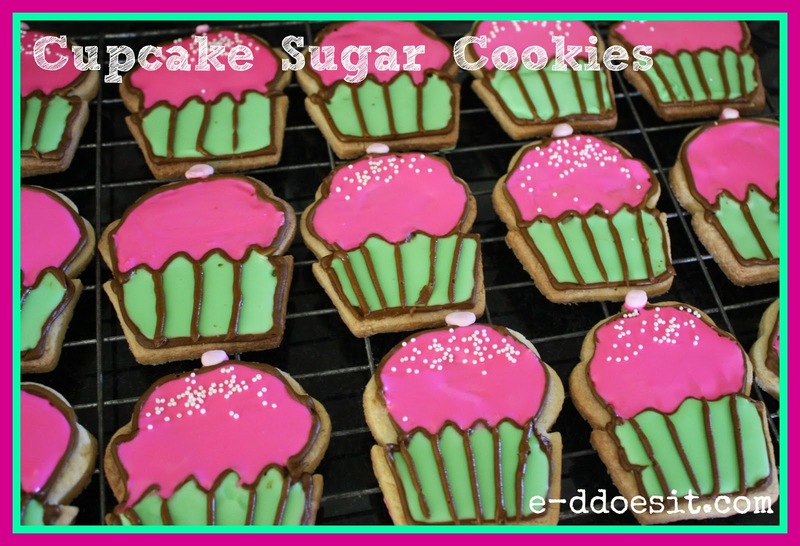 This 'Sugar Cookie' recipe was adapted from 'The Hummingbird Bakery' cookbook.